The space where the luggages are deposit and kept, the furniture and the administrative organization. Employee: the physical person who deal with the service of storage of the luggages in the left luggage. 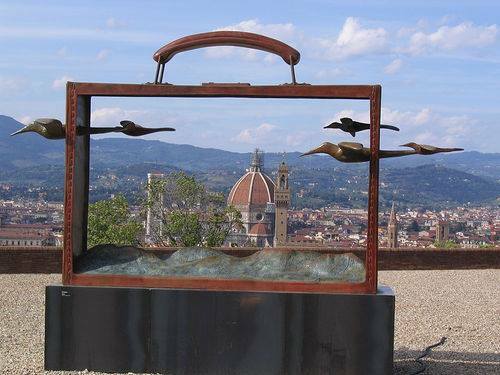 The rates for the service are decided from Left luggage Florence and they are shown inside the venue to the public. We accept in deposit and custody, inside the limits of capacity of single deposit after the payment of the rate Art.2: they can be suitcases, boxes, bags or similar items. Every item in the storage has to be well closed. Left Luggage Florence is not responsible in all cases of money, jewelry, precious metals, business documents or any other valuable object inside stored luggages. The luggages are brought in the left luggage under request of the owner or from the owner of the luggage himself. After 30 days from the deposit, if needed the biggest items can be moved in another storage at the owner of the store expense. a)	Luggage with flammables materials, or easily perishable, or with a bad smell or that can damage the structure of the Left Luggage of other stored items. Art. 5 Opening hours to the public. The opening hours to the public are, with no exception, from Monday to Sunday from 8:00 to 20:00. The execution of the deposit is done by our employees. Our staff have to respect and to enforce the rules of the service. Our employees can also get the amount of the deposit and all the other operations in this rule book. The access in the Left Luggage is always allowed to our staff or to police or other public workers which service is needed or motivated. Art. 8 How the luggages have to be introduced. Our employees have to fill up the module of deposit. The first part of the module (numbered progressively) has to be kept from the Left Luggage. The second part (the received) has to have the same progressive number of the first part and has to be given to the customer. The third part has to be attached to the stored luggage. b)	The date and time of check in. c)	approximately the date and time of picking up. d)	the amount of the service. e)	the surname of the customer. The employee is not allowed to check the identity of the customers. Art. 9 How the luggage has to be returned. The employee has to check the received with our part of the module and not the identity of the customer.. In case the employee has the founded doubt that the customer is not the owner of the luggage, the luggage cannot be returned. If there are no convincing proves of ownership the items stays in the store until further investigations. Art. 10 If the luggage isn’t reclaimed. After 90 days from the date of reclaim written on the module the left luggage can sell, destroy or use the luggage and its content. The left luggage is not responsible of the damage and natural decay of the item not attributable to the fault of the employee. Art. 12 Conditions and revision of the regulation. With the receipt of receipt of the module the customer accept all the conditions of this set of rules. Copy of which can be request by our office. The Left Luggage Florence can modify this rules based of the experiences and necessities emerging by using it. Where are you located? Do I need to reserve a spot or can I just come and drop off our luggage? my left luggage is in Via Dei Boni 5r in Florence. Reservation not required. Hello, there are no extra charges. Are directions from rail station easy and walkable?